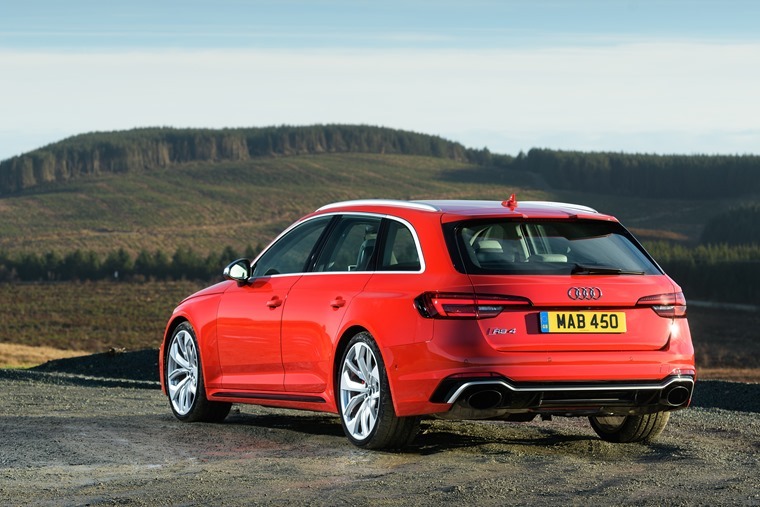 With everyday usability and phenomenal pace, the Audi RS4 Avant has everything, and has your back in any scenario. Like Riggs and Murtaugh, or any other buddy cop movie, a symbiotic bromance is brewing. It could be anything that triggers it: the grille, the comfort of the seats, the feel of the wheel, but with the Audi RS4 Avant that grin comes the moment you press the ignition starter and hear the twin-turbo 2.9-litre V6 spark-ignition engine roar into action. 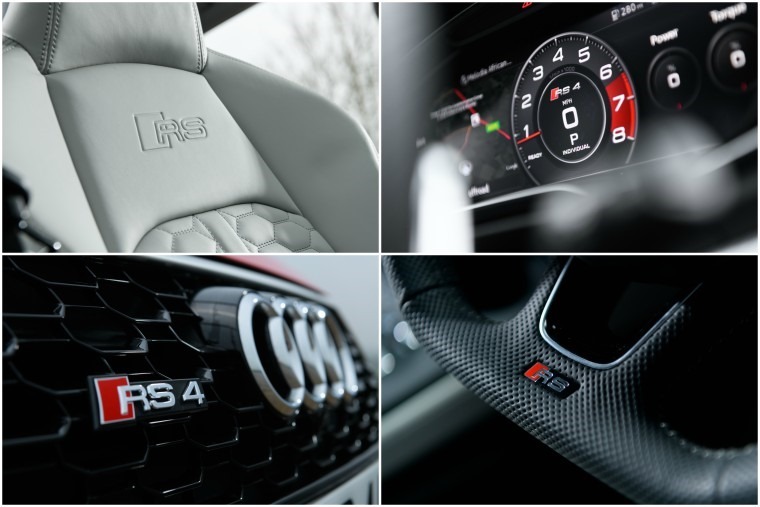 While more power is available elsewhere in the Audi range depending on how crazy you want to get (we’re looking at you V10 R8 Spyder), it falls to the RS4 Avant to grant drivers real-world access to extreme performance via an intoxicating blend of every day usability and phenomenal pace. This all-new fourth generation model offers an even sharper focus on sports positioning, weight reduction and driving dynamics over the outgoing model while at the same time offering an improved ride comfort, road presence and refinement. It is quick. It is incisive. It is planted and responsive. 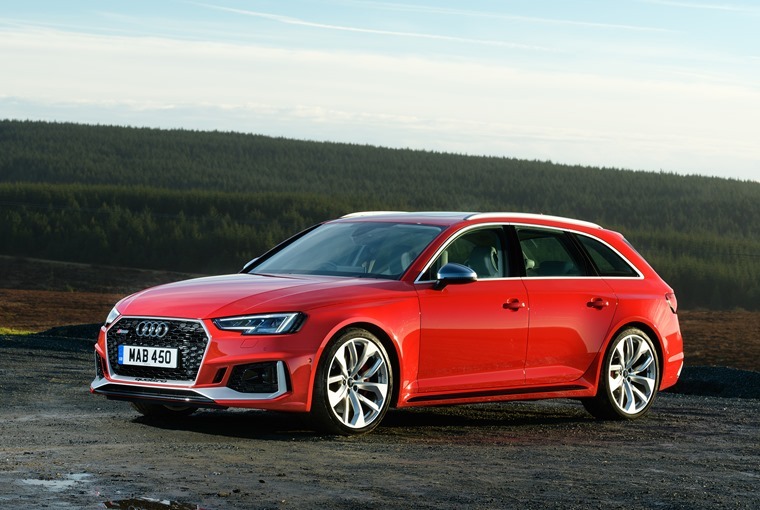 For an estate, it offers an alarming level of agility to the point you may do a double-take as you exit the car in order to settle your adrenaline levels down expecting to find you were in a sporty coupe all along. You weren’t. 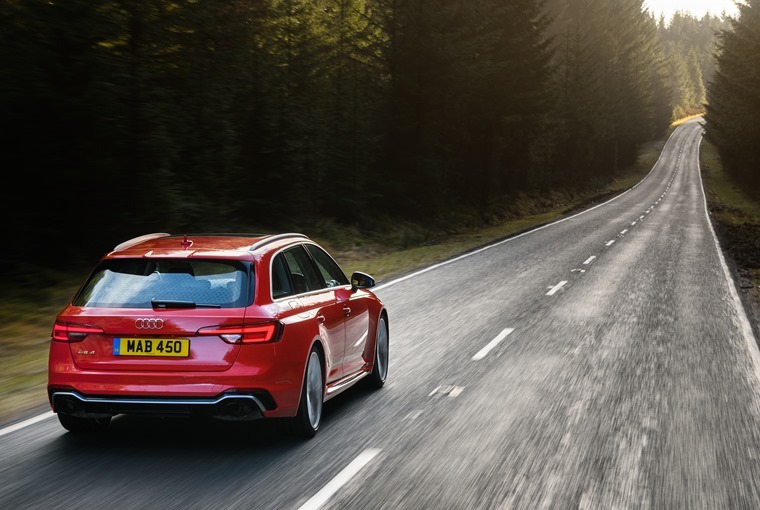 Driving the car on a mixture of A-roads and country lanes, the RS4 Avant is ruthless on any form of tarmac thanks to the level of stability the chassis demonstrates. This take-no-prisoners approach to driving ensures the car is effortlessly smooth, with any inkling of body-roll negated to almost hot-hatch levels. Again, after swinging it around tight bends on innumerable country lanes, you may find yourself exiting the car and checking again that you’re actually driving an estate. This stability on offer throughout not only puts you at ease, it means the steering requires almost no effort it is so light and precise. Couple that with the ludicrous acceleration and ultra-responsive brakes and any sort question the road can throw at the car will be answered thoroughly, safely, and quickly. Braking on a sharp corner? It will plant itself. Sharp acceleration through a winding bend? Pfff, no problem. Last minute change of direction? The RS4 has your back in any and all scenarios to the point you truly feel a symbiosis with the car – something you don’t come across often at all. This is all thanks to the power of the 2.9 TFSI being channelled to the permanent all-wheel drive system with standard sport differential and RS sport suspension as standard. Do you even care about the interior on a car like this? The cabin could have been a wooden chair, plastic steering wheel, gear stick, pedals and I wouldn’t have cared about anything else personally, but for the sake of argument it’s no surprise to find the RS4 Avant offers the type of luxury and refinement Audi has been perfecting for so many years now. The flat-bottomed three-spoke RS Sport steering wheel with gear-shift paddles and the deeply contoured RS super sport seats leave no room for doubt about the performance pedigree of the car, and in their own way add to the complete package of the cars credentials. 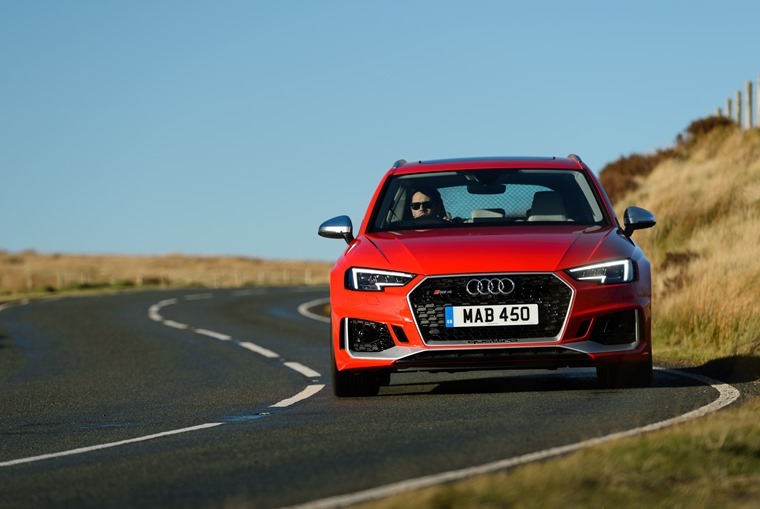 The RS Audi drive select takes this to another level with drivers able to tinker with throttle response, gear-shift characteristics, steering, quattro and the exhaust which delivers a suitably low register. It also offers a RS-specific, fully digital Audi Virtual Cockpit with 12.3in high-res display as well as the standard 8.3in high-res MMI infotainment screen, a 40-20-40 rear-seat split , and 505-litre capacity boot (whatevs). All in all, the RS4 Avant offers huge levels of ability and agility to give drivers something truly unique to the segment. And that’s something you don’t get to say very often these days.